← Happy New Year From Brash Librarian! 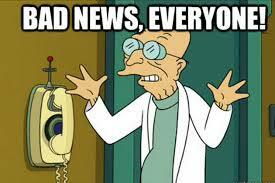 If you watch Futurama, you just heard this in Professor Farnsworth’s voice. 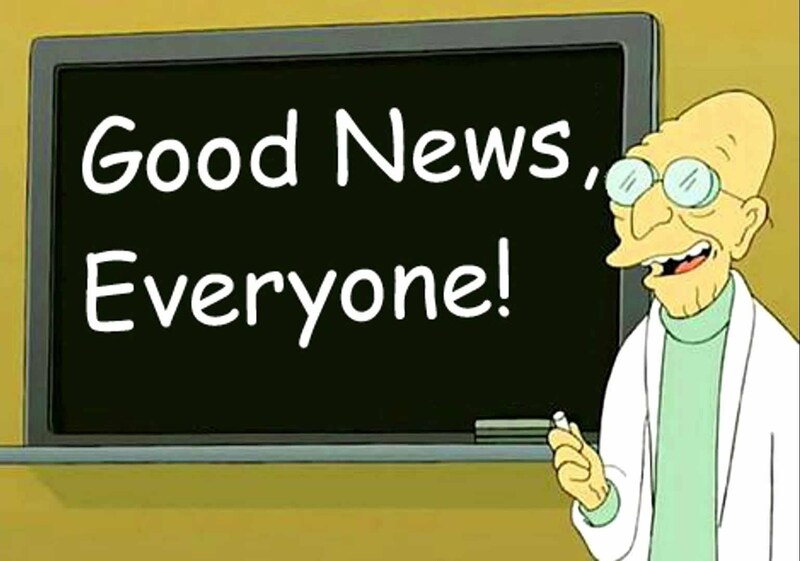 This week, I’m pleased to announce that I have been promoted from Librarian II to Circulation Manager! While I officially start February 1st, I started training on Monday with the current manager to learn the ways of the Force. Only 5 days in, and my brain is becoming deep-fried in reports, stats, scheduling, staff, policies, procedures…I know I’ll be okay, though. When I was a manager in Florida, I was replacing a woman who had passed away and taken all of her logins, passwords, and secrets to the grave; her assistant had also left when she learned she wasn’t getting the job, and other remaining staff had been moved somewhere else. Long story short, I walked into a department with no people, no logins, and no contacts on my first day. Seriously, my first day. I didn’t even know where the bathroom was yet. I feel like these two cartoons really balances this post. As I embark on this new adventure and the training entailed, it will probably mean less posting for awhile. Not to worry! While I may not have time for my weekly articles, I will certainly still post fun things on my Facebook, Twitter or Instagram for all to enjoy. As always, any comments, questions, observations, etc are always welcome. That’s all for this week folks, I hope to be writing again soon! This entry was posted in Uncategorized and tagged book, books, Brash, Brasher, business, circulation, facebook, florida, instagram, jobs, justin brasher, librarian, librarians, libraries, library, library science, manager, MLS, policiies, procedures, promotion, reports, social media, statistics, twitter. Bookmark the permalink.